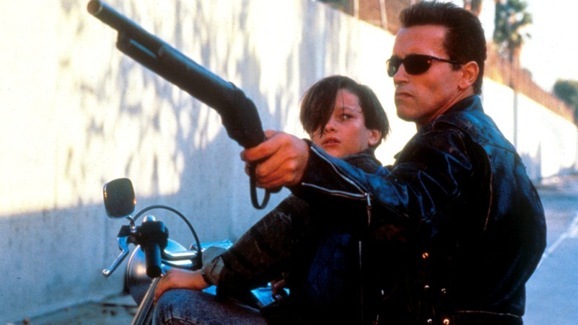 In reality, any of the Terminator movies make a solid companion to Transcendence, though the first two are obviously the cream of the crop, top of the heap when it comes to that franchise. If not stopped, Will, who gets uploaded into a computer and starts taking over, could very easily become Skynet, or at least a close approximation thereof, rising to a point where he is omnipresent and in total control of everything except a few human stragglers living in caves. Why Judgment Day makes a more suitable companion piece has little to do with the AI element of the story, however. Though Transcendence has largely been marketed on the action component, there is actually almost none to speak of, and what is there generally feels out of place. There is a moment in one scene that calls to mind an iconic event from T2. We all remember when Robert Patrick’s T-1000 kicks it into high gear to chase down Arnold and company as they flee in a car, and that scene is damn near recreated in the latter portion of Transcendence. Josh Stewart plays one of Will’s “hybrids”—people infested with nanobots who have been enhanced by the technology and function as part of a hive mind—that chases down a pick up truck at full speed, doing his best Robert Patrick impression.